Whether they’re looking for a thrill to enliven a dull day or hoping to impress peers with their bravado, kids and teens have a way of devising and participating in games so dumb and reckless that parents cringe to hear about them. With the advent of the Internet, these dares and dangerous games have gone viral. 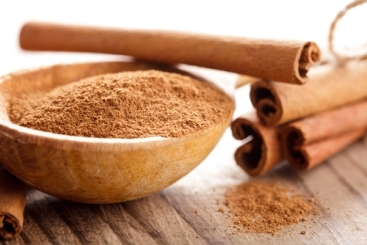 The latest fad, “the cinnamon challenge,” seems relatively simple on the surface. Participants are charged with the mission of swallowing a single spoonful of dried, ground cinnamon. The results are rarely successful, often disgusting and never graceful. The New York Times reports that participating in the cinnamon challenge can result in a trip to the emergency room, and the game is responsible for a number of calls to poison control centers. Along with the cinnamon challenge, these are a few of the other dumb games kids are known to play when there’s a lack of adult supervision. Another stupid stunt gone viral, countless online videos depict kids and teens trying to see who can withstand the pain of pouring salt onto their skin, and then placing an ice cube over it. The addition of ice to common table salt lowers the mixture’s temperature below that of freezing water, causing burns similar to those sustained by sufferers from frostbite. The ice can even numb the skin, causing kids to be unaware of just how severe the injury is. It’s not uncommon for participants to sustain second or third degree burns. By no means a new feat, the choking game is an old stunt that seems to be passed down with each generation. It’s also one of the most dangerous of kids’ common stupid games, as it can end in the death of a participant. A study conducted by the United States Centers for Disease Control and Prevention showed that the average age of kids that died from playing the choking game was 13, and that 87% of those that died were young boys. The vast majority of parents that lost a child, 93%, reported that they weren’t even aware of the choking game until after their child died as a result of playing. Most kids know that trying an illicit drug is just asking for trouble, but feel that it’s okay to huff things commonly found around the house to alter their perceptions. Because these substances are easily obtained and aren’t illegal to possess, it’s easy for kids to believe that they’re also not dangerous. They’re not intended for concentrated breathing, however, and can cause brain damage or even death. The National Survey on Drug Use and Health cites household chemicals as the fourth most commonly abused substances among middle and high school students in the United States. While some of the dumb and dangerous games kids play are inspired by viral videos of their peers around the world attempting some harebrained feat, this one is an old hat that’s been depicted in scores of Hollywood hits. Kids are instructed to spread their fingers and place them on a flat surface, stabbing the space between them with a knife. The object is to steadily increase the speed without impaling any phalanges, which requires far more skill and coordination than most kids have. Injuries sustained from a game of mumblety peg are generally not life threatening, but can be very painful and do run the risk of becoming infected. Lots of legitimate games require a certain action to be completed within a specified period of time, but few are as painful or as dumb as the thirty seconds game, in which kids fight an opponent with all of their strength for half a minute. Onlookers declare a winner based upon the injuries sustained and strikes landed. Anything that gets kids to think about the language arts is a good thing, right? Word games are generally an accepted form of entertainment, and one that makes parents proud of their genius progeny. The ABC game, however, takes being smart to an entirely new level of stupid. One participant scratches the shape of a letter into the back of another’s hand while she tries to recite a specified number of objects that begin with that letter, continuing until the competitor either completes the entire alphabet or gives up in agony. The repetitive and abrasive action can leave kids with infected wounds. Discussing these games with your kids is a good idea, but can also give them ideas that they may not have stumbled on without your inadvertent direction. Try to encourage reasonable, rational behavior and discuss the general subject of dangerous games in a way that shows your disapproval without giving them the specifics they need to carry out these stunts. Sports Techie, ABC means ‘Always Be Charging’ and does not involve any pain unless you forget to honor this rule with your sports tech, gadgets, and smartphones or tablets when they run out of power and you really need their use. What gives these dumb games life are the videos and pictures of the challenges posted on social media networks for bragging purposes or to try and become popular with peers. YouTube is filled with film of most of these challenges and many have gone viral because people enjoy seeing others do daring feats regardless of the fact that embarrassment, injury and even death can occur. When faced with these facts it becomes the job of the Sports Techie community and coaches to not be a part of this global trend, rather, we should be advocates for educating the public and families about the real dangers and opportunities for trouble that dumb games like these present to kids and parents. 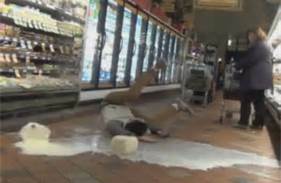 My Sports Techie little brother is a Manager in Idaho at a large grocery store chain that begins with an A end ends with an S. They had a milk prank in the store earlier this year that was video taped and posted nearly immediately on Facebook without a thought about the consequences of the act or what posting it would actually accomplish. It turned out that all the pranksters where tagged in the video and my bro is actually friends on Facebook with one of the kids that clicked the Like button causing the vid to show up in my brothers content feed. The boys all played baseball with my nephew and are not bad kids they simply wanted to go viral and be popular. The store video camera system had the same footage as the Facebook video so in the end, they stood to be charged and prosecuted to the fullest extent of the law according to store policy no matter what. The stores executive team wanted to use this opportunity to charge the kids as a deterrent for other teens. Similar pranks around the world have caused injuries, property damage and massive frustration because of the blatant disrespect for authority. The teenagers my brother helped bust were talked to by the School Resource Officer and had to do community work as reparation for the damages. It took employees several hours to clean up the mess and lots of food that the milk touched was thrown out because of the possibility of mold growth. My Dad was a milkman so we know how nasty and awful spoiled dairy products smell, it can be impossible to get rid of. The moral of this blog is that as more and more kids try and do the most crazy and often stupid challenges and games for a chance to have their 15 minutes of fame, it has become our societies challenge to end this madness by talking to kids about it in a responsible manner. When kids care more about impressing a significant other or their best friends or teammates with a challenge that could end up in disaster, property destruction and school expulsion, something needs to change. I would like to share with you what one of my Redmond lacrosse players did last year to get expelled so others do not try the same thing but it truly was the most stupid way to try to be cool ever so if you want to know more, contact me and I will tell you. Play ball and not dumb challenge games Sports Techie youth. I am genuinely keen of reading posts almost developing popular blog,alternatively even regarding Web optimization.